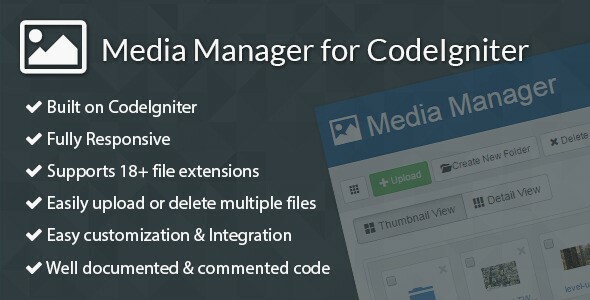 Media Manager for CodeIgniter - CODELISTPRO | Free Premium Scripts, Plugins, Apps Source Code. Media Manager is a simple CodeIgniter based PHP script that can be used to store and manage files of different formats. Admin panel is provided to configure various settings related to uploading media like file size, allowed file formats, etc. Login and registration functionality provided to allow number of users to manage their own media.